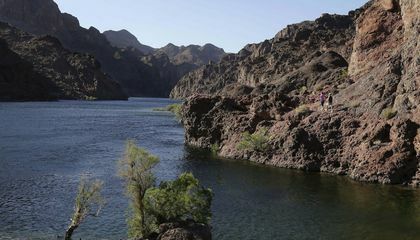 The river's volume has dropped more than 19 percent during a recent drought. It has gripped the region since 2000. A shortage of rain and snow can account for only about two-thirds of that decline. This is according to the hydrology researchers. Brad Udall teaches at Colorado State University. Jonathan Overpeck teaches at the University of Arizona. Their study was published in the journal Water Resources Research. The scientists concluded that the rest of the decline is due to a warming atmosphere. It has been induced by climate change, they believe. 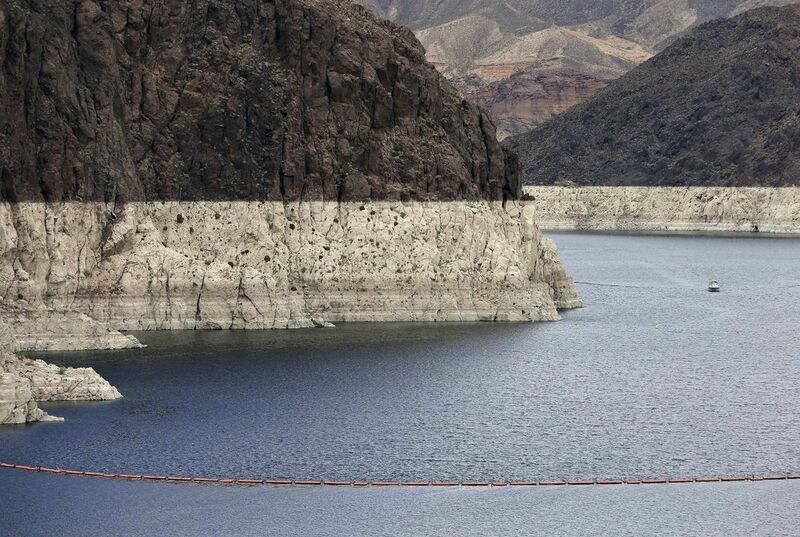 The change is drawing more moisture out of the Colorado River Basin's waterways, snowbanks, plants and soil. The reduced moisture is because of evaporation and other means. Their projections could signal big problems for cities and farmers. They live across the 246,000-square-mile basin. The area spans parts of seven states and Mexico. The river supplies water to about 40 million people. In addition, it supplies water to 6,300 square miles of farmland. Water managers have said that Mead could drop low enough to trigger cuts next year in water deliveries to Arizona and Nevada. They would be the first states affected by shortages. This could occur under the multistate agreements and rules that govern the system. But heavy snow in the West this winter may keep the cuts at bay. Snowpack in the Wyoming and Colorado mountains provides much of the Colorado River's water. It has ranged from 120 to 216 percent of normal. This was as of Feb. 23. Martin Hoerling is a meteorologist. He works at the National Oceanic and Atmospheric Administration. He was not involved in the study. He questioned whether the temperature rise from 2000 to 2014 was entirely due to global warming. Some was likely caused by drought, he said.